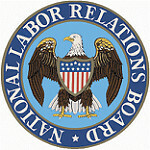 Seyfarth Synopsis: The NLRB suspends its request for briefing regarding potential changes to the construction industry bargaining relationship in light of Charging Party Union’s withdrawal of the underlying charge. Seyfarth Synopsis: Millennials are an ever-growing portion of the workforce, and they generally have favorable views toward labor unions. Employers would be well-advised to be attuned to this reality and they may want to consider developing and implementing strategies aimed at heading off union organizing before it starts. By: Paul Galligan, Esq. and Samuel Sverdlov, Esq. By: Kyllan B. Kershaw, Esq. Seyfarth Synopsis: Union organizers are increasingly embracing the #MeToo movement as an organizing tool, claiming that unions are the key to eliminating gender inequity and sexual harassment in the workplace.